10ft x 17ft rectangular trampoline (the size of competition trampolines). 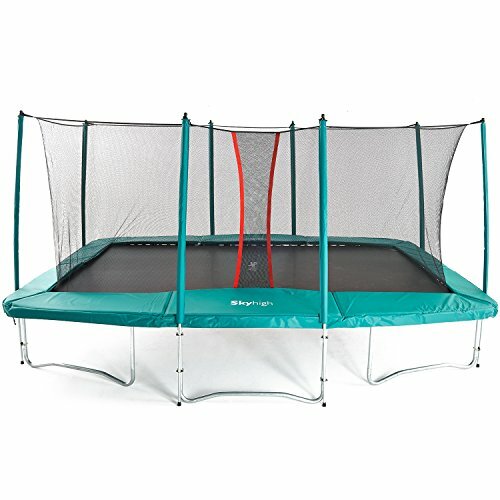 Older gymnasts needing plenty of space for linked tumbles will benefit from a trampoline of this size. 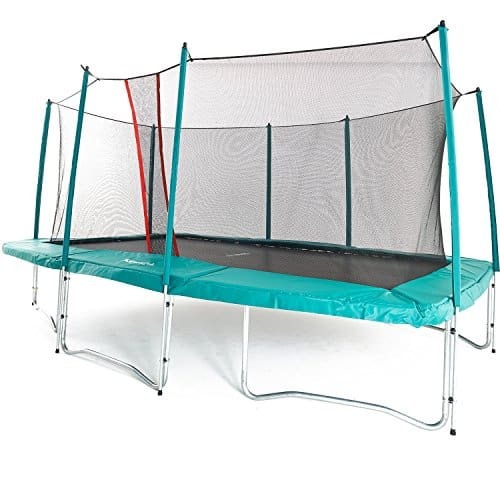 However, larger trampolines require more effort to get bounce so the trade off for lighter gymnasts is more space/less height. 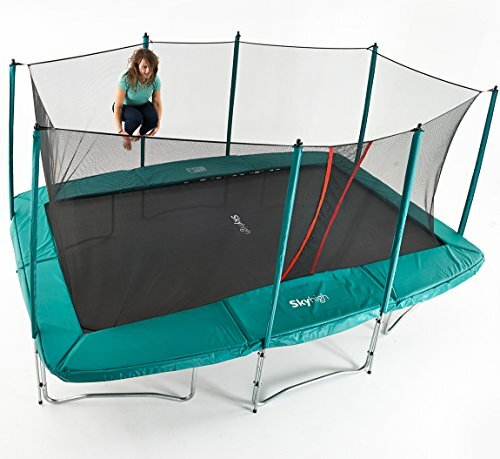 144 springs across two sections – there are 116 x 210mm springs in the first section which attach to the mat and 28 x 180mm in the second section, the outer frame, which ensures that regardless of the surface area of the bounce mat the trampoline will have a powerful bounce. 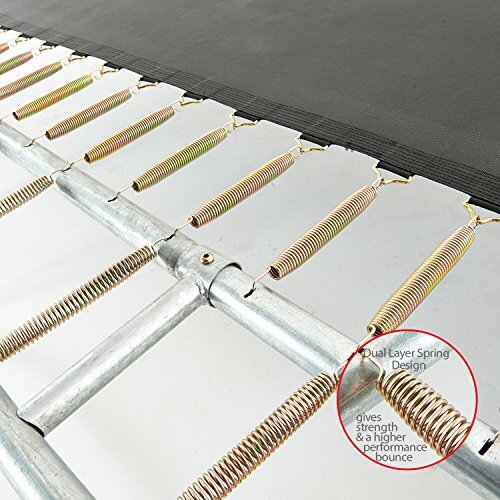 Very thick protective 30mm surround pads which prevent the user from coming into contact with the springs or frame. 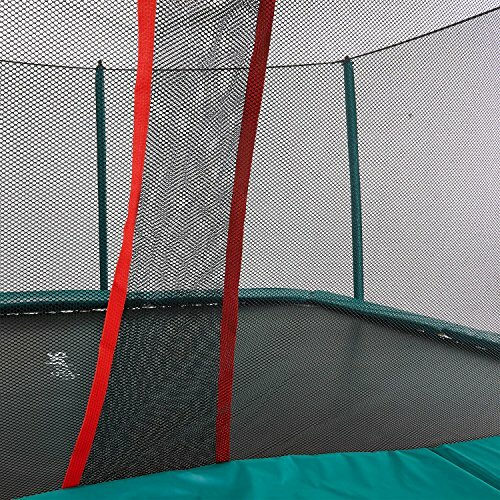 The pads are covered with an all weather PVC that is designed to withstand any manner of weather conditions. Because the covering is UV treated it won’t fade in colour in the sun during the summer months. 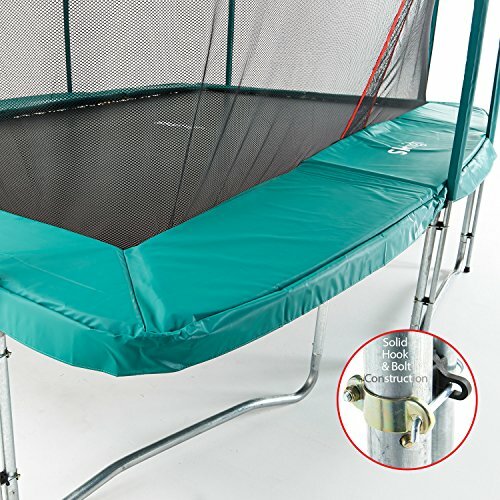 The foam padding inside the covering is EPE foam which is sealed to avoid water seeping in when it rains. 10 year manufacturer’s warranty on the frame and one year on the other components (bed, pads and springs).